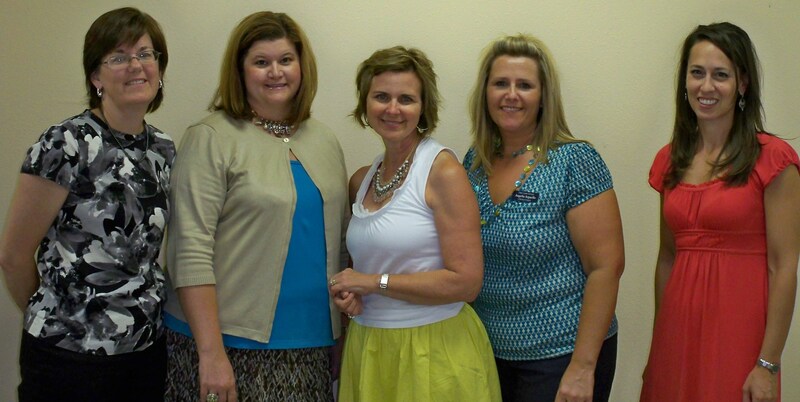 Last week I worked with K-1 teachers in Fayetteville, Arkansas. What a great time we had together. We examined small group instruction and literacy work stations. Many confirmations of things folks were already doing well, and some slight tweaks, too. One teacher exclaimed on day two, “I get it! Organization is everything. 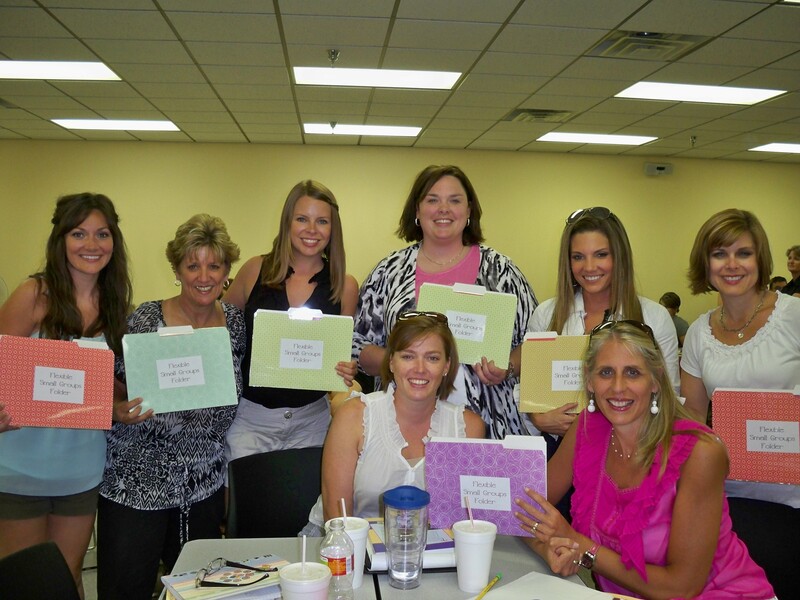 If I can get my small group area and my lesson plans and my groups organized, instruction will go even better.” Amen to that! After day one, someone in the group went home and made guided reading folders for her team. How’s that for collaboration? She used the example on the cover of Making the Most of Small Groups. Way to go! 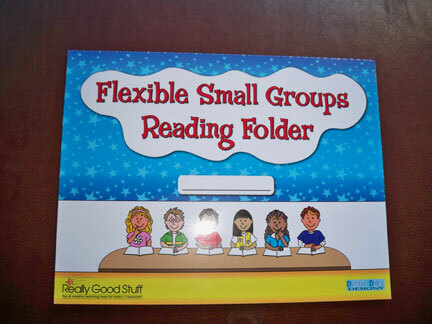 Flexible Small Groups Reading Folder Has Finally Arrived! If you have read my book, Making the Most of Small Groups, you might already know about the flexible small groups folder I recommend making to keep track of your reading groups. 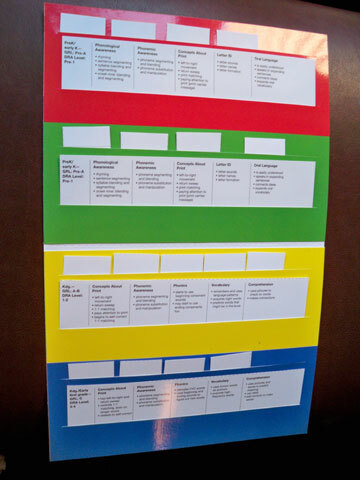 It helps you organize and keep track of who is in each group and what you might focus on in teaching. There are pictures of this folder on the book’s cover and in chapter 2. Great news! This folder is now available (already made) from Really Good Stuff . All you have to do is write each child’s name on a card and insert it in a precut strip. Everything you need is included… the strips telling what to focus on in each small group, the color-coded file folder (one color represents each small group), and the little name cards. It is a huge time-saver. Hope you like it as much as I do!